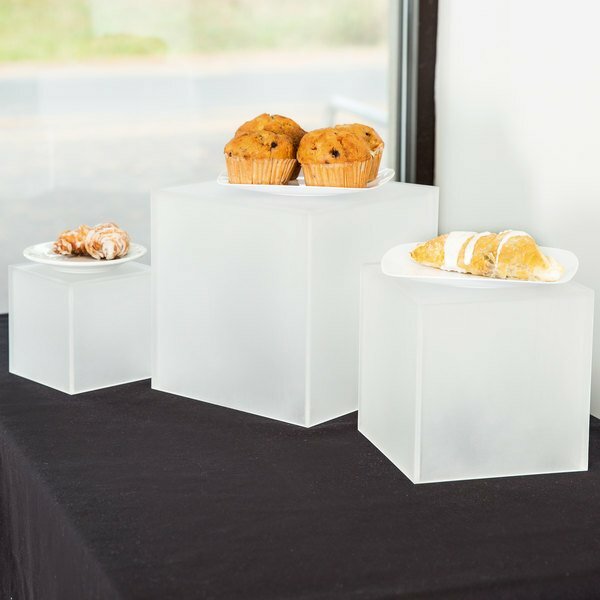 Add dimension to your elegant buffet spreads with this set of three frosted acrylic cube risers. 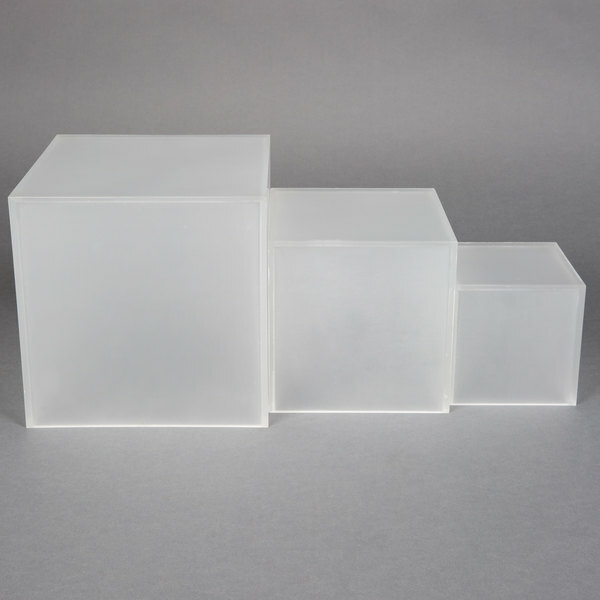 Each set includes one 5", one 7", and one 9" cubed riser. 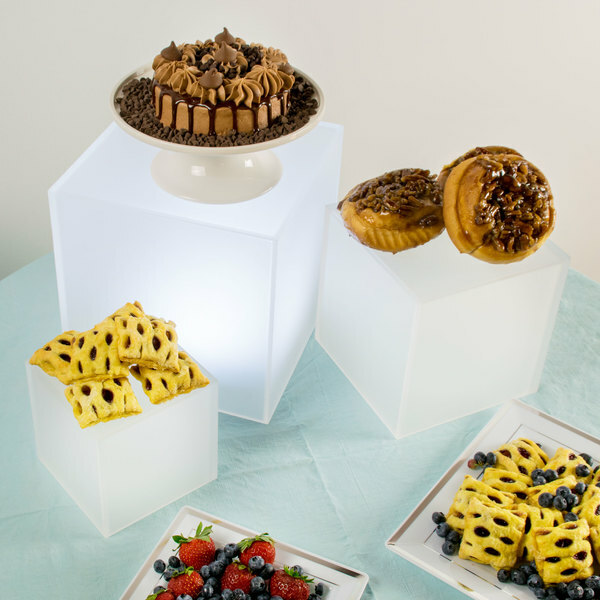 They are perfect for use at fanciful buffets, banquets, or catered events. Use them to lift up salads, pastas, side dishes, and desserts, or, turn them upside down and fill with rolled silverware at the beginning of your buffet line. These frosted risers gave me the preparation look that I was going for. I’ll be purchasing another set for future events. People are still talking. 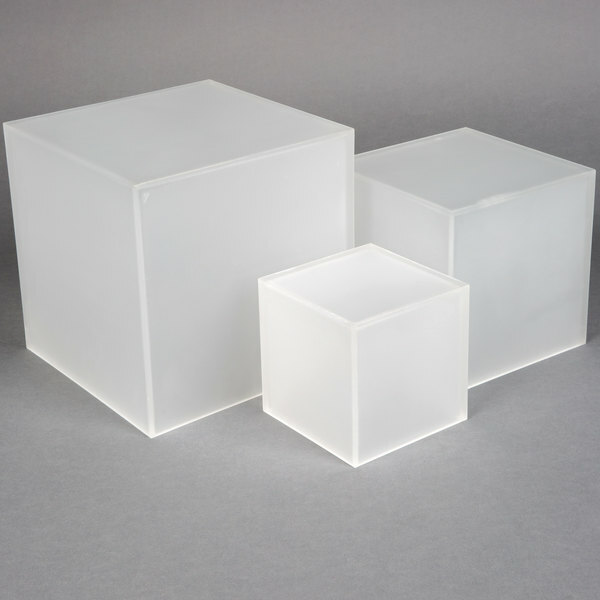 Loved these cubes with the lights inside made for an awesome presentation. Loved it so much ordered a second set of them. Super heavy and thick. Just awesome. 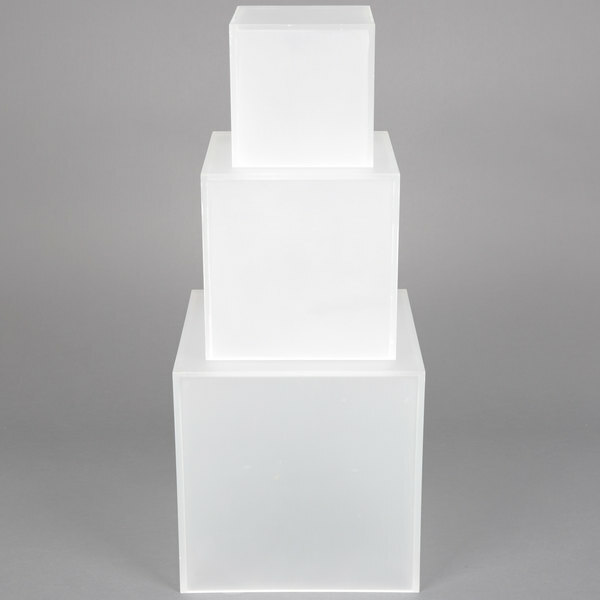 These sleek looking risers were exactly what i was looking for. 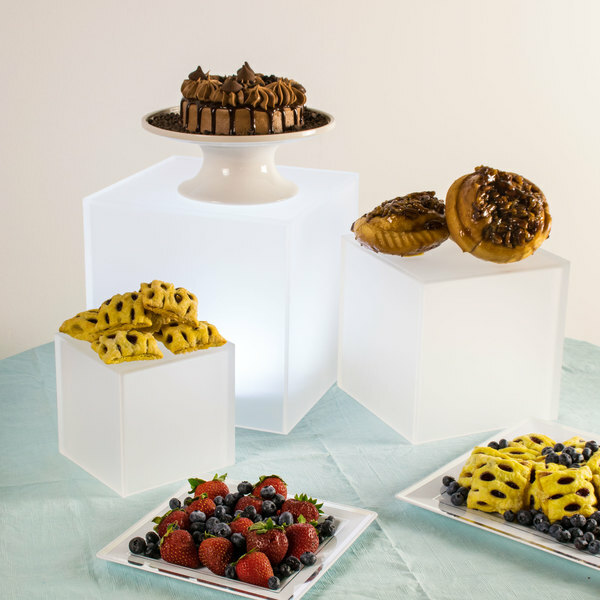 The three sizes look great together on a buffet and are even more impressive with the light component inside. I bought two sets and they look beautiful. 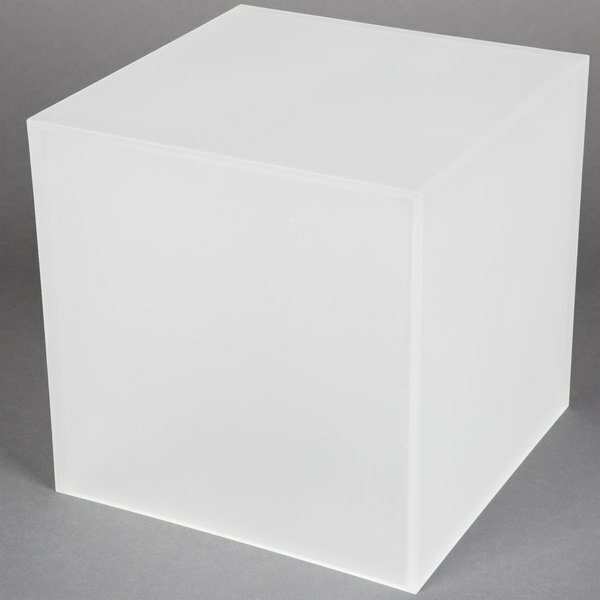 Best of all, they are acrylic and very durable.